I’d like to start this post by asking for help from people. How on God’s green earth do you cook an artichoke??? I popped it in the stew with the tomatoes, olive, and beef shin. I let it simmer away for a few hours, tried it, and it was like trying to eat wood chippings! Took longer to take all the pieces out of the ragu than it did to eat the thing itself!! Anyway, enough of all that! 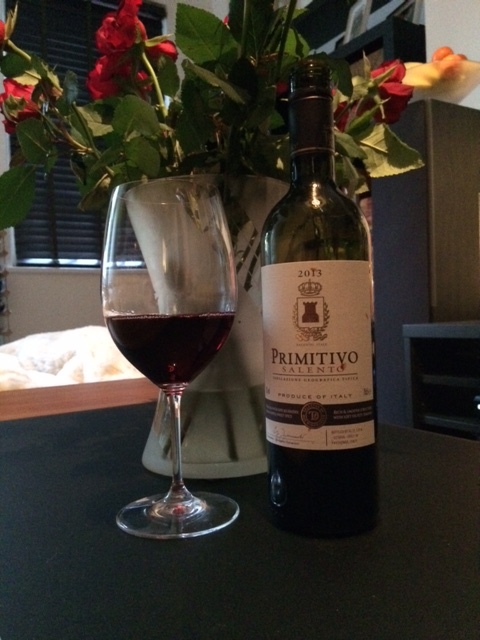 The rest of the stew was great, and the wine this week, the Taste The Difference Primitivo kindly supplied by Sainsbury’s was…well…nice! The colour was clear deep ruby and vibrant looking. Exactly what I was expecting. Ok tick that one off. On the nose, it wasn’t jumping out the glass at me. There was the liquorice and pepper spice, and the black fruit of plums and dark cherries that we were meant to get. So again, tick that one off. Not exactly intense and complex, but pleasant. On the taste it was a bit funny. Don’t get me wrong, it was very drinkable. It just didn’t have anywhere near the body I was expecting. A big thing here was that it’s only 13% alcohol. With a Primitivo I’m expecting much higher. Not sure whether they’ve used techniques to take a bit of alcohol out, or harvested early maybe? Either way, it was much lighter in the mouth than I was expecting. As I said, very drinkable, but not as heavy as I’d expect from a Primitivo. Slap bang in the middle of the “Good” range of 8-12, so 10/20. I enjoyed the post.,good review.Greeting. People have been trying to cook artichokes the right way for years. I think i know three people who can do it properly. Boil them in water for about 15 mins,cut them in half, scrape out the centre and leave the leaves then stick on the hot bbq. Serve with a dip like Aoli or similar. If I can get some today at the supermarket, I might even do some tonight on the BBQ. I will use my Big Green Egg. Best BBQ on the market. Fancy joining us in Suffolk? You got a big green egg??? Amazing! Will have to come and join you soon to see how that all goes!